Bishop Mark Davies has blessed, rededicated and opened the new headquarters of Caritas Diocese of Shrewsbury. 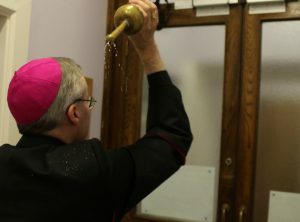 “It is with great joy today that I bless and dedicate this new home for Caritas Diocese of Shrewsbury,” he said. 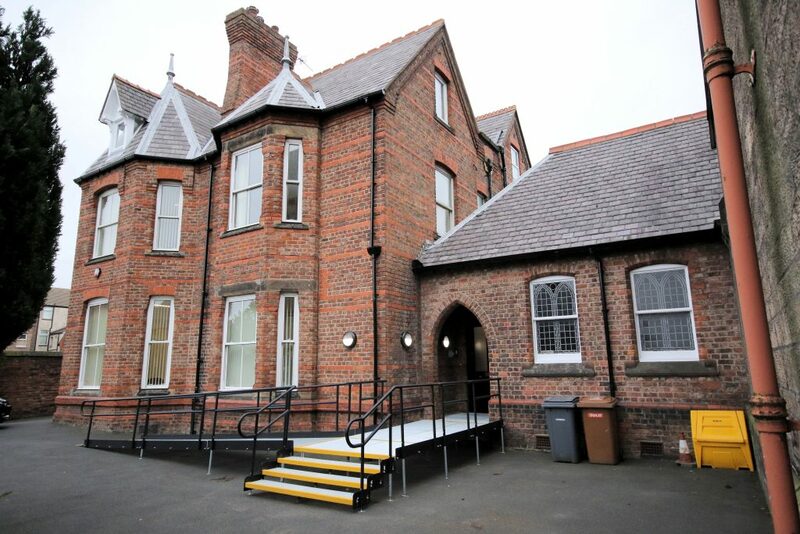 He reminded his audience that the house adjacent was built in 1875 adjacent to the Church of Our Lady Star of the Sea and St Joseph, Seacombe, the Wirral, specifically for mission and “the priests who came to serve the spiritual and indeed the social needs of this people of this district of the 19th and 20th centuries”. Bishop Davies said that the house on Wheatland Lane was “briefly the centre of the Diocese” when it was occupied by his predecessor, Bishop Hugh Singleton, in the early 20th century. Compassion for the poor and downtrodden was “not something extra” to the mission of the Church, the Bishop added, but has “always been the Church’s mission”. Bishop Davies also paid tribute to the “many thousands” of Catholics across the Diocese who by their “daily prayer and sacrifices” have supported the renewed commitment to the mission of the local Church in the service of the poor. 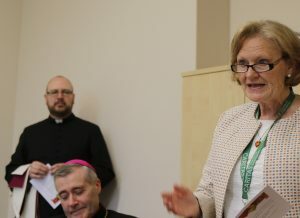 Mary Kilcoyne (pictured right), the chief executive of Caritas, said she was “delighted and proud” to see the agency’s new headquarters opened and blessed by the Bishop.